What do you do when the mockingbird can’t sing? It has been weeks since we made it back home after fleeing Hurricane Irma, freed the house of storm shutters and let the light in. Those who suffered many days in high heat and humidity have power and very welcome air conditioning. Gas stations have fuel and the lines are gone. Stores are stocked again. Businesses have cleared their property and sculptured green lawns invite customers. 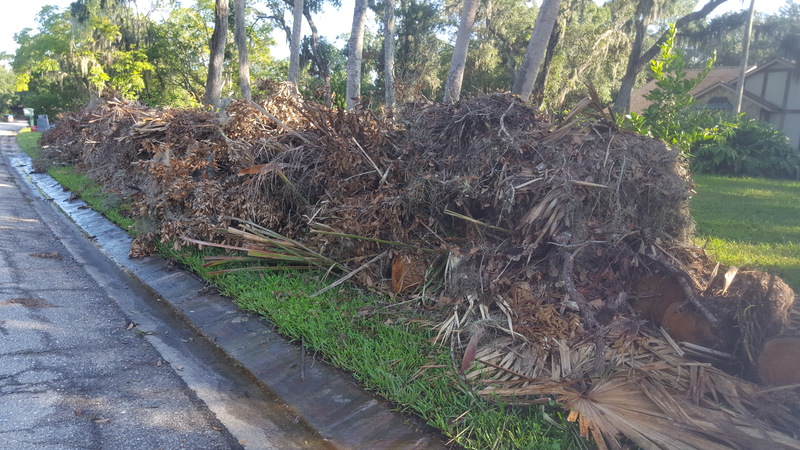 (Never mind the storm debris piled high on our curbs, until December the county website says.) We were spared the terrible destruction that Hurricane Irma could have delivered. Thousands in Houston still struggle with effects of the flooding. Irma pounded many Caribbean islands, including Puerto Rico, and Hurricane Maria gave no mercy. There, conditions worsen in many areas as limited supplies of fuel, food, water and medicines run low. Then there are the earthquakes in Mexico, which left village after village with no homes, schools, churches or means to earn a living. And massive wildfires in the Northwest. We know how lucky we are. How blessed. We are grateful. And yet, every time I chat with someone, after we’ve talked about hours on I-75, the tree that missed our lanai, or what we went through to find gas, there comes a sigh. “I’m just not bouncing back,” they say, looking away, perhaps feeling guilty that they are having trouble sleeping, or waking tired in the morning. It’s as if we don’t have a right to still struggle to get through the day, or not be able to think clearly. We didn’t get it really hard, did we? 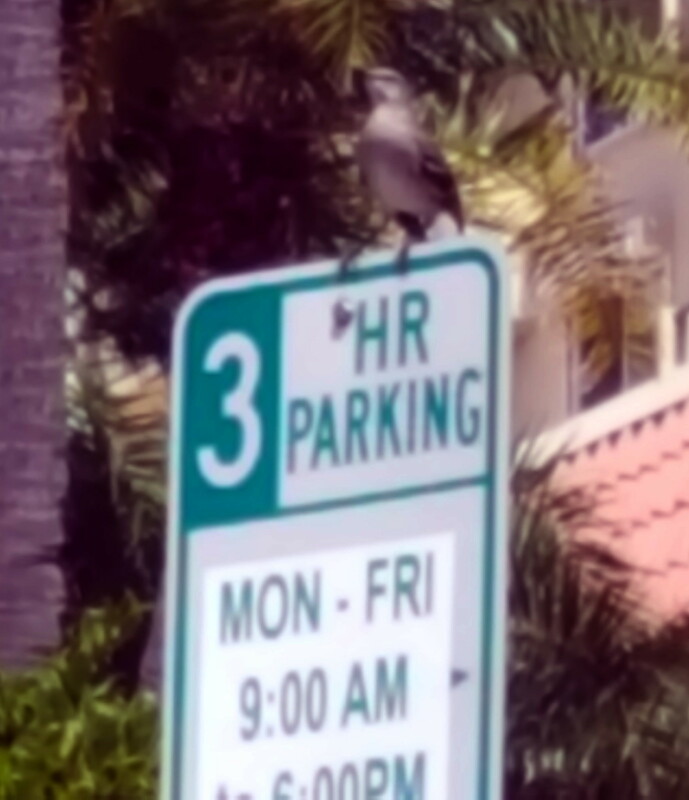 After I left a meeting last week a mockingbird flew toward me and landed on a signpost. I waited for my favorite bird song, free and unrehearsed. He dipped his tail, cocked his head, opened and closed his mouth, but no music flowed. For five minutes he went through all the motions, but his song was gone. The next day I watched a wasp, unable to fly, walk across the sidewalk. From tiny to human-sized, many in Florida are still a little dazed. In spite of all we are grateful for, not singing. Being the way I am, I can’t help pondering all this. Hurricanes and other disasters cause sudden disruptions. Dislocate the daily-ness. Even those like me who don’t like a set schedule find we actually need a certain degree of routine in order to function. Those hours of thinking 155 mph winds were on the way to blow away our house, then packing, wondering what to carry, what I could live without, then driving away with a deep ache at all the memories, especially of my mother, I might never see again, have all taken their toll. We left late enough, and went east, so didn’t suffer the crawling parking lot on the interstate, but it was dark, and we were driving into the storm — the monster storm that seemed to reach out and grab everything but the Panhandle of Florida. We lost power that night at my son’s house and watched the constant tornado warnings, until we lost cell coverage, then internet. The wind howled longer than predicted. Transformers popped. And when it calmed, the once pristine neighborhood was covered in oak branches. Irma had come east, sparing our home, but causing more damage across the state. Then the sun came out. The storm was gone. Relieved, one by one, we made our way home. So now, after the storm, when everything is “back to normal” what do we do with all that buried angst? Isn’t that is what is tiring us out so much? And is it okay to say it’s still hard, when we were so lucky? I guess that’s the human dance, isn’t it? To be able to stare reality in the face, no matter how little we like it, but still turn toward the sun. This past week I tried, taking more time with my Bible, dinner with a larger family group – laughing and enjoying each precious one at the table – gathering with dear ladies to worship and study the Bible, and leading music for worship on Saturday evening, singing my heart out, letting it all go. That helped, some. Spent, I finally stopped on Sunday. I admitted it. It has taken me a week to write this. And that’s okay. Much as we might like to watch superheroes, we aren’t designed to be one. I think it’s okay to cut ourselves a little slack after a storm of any kind disrupts our lives. Gather with friends and loved ones as often as possible. Spend time outside, making friends with the wind again. And, always, acknowledge our need. Go to the One who is always ready to hold us. This song I remember singing at my grandmother’s church keeps coming to mind. No more strong one here. So how about you? Have you gotten to that point in your own storms? Where do you go, and what do you do? Jane, thank you for giving me a look into the aftermath. So well written. Thank you, Zoe. Sometimes these things make it hard to write, but it’s also impossible not to.